Which model 110 do you have? Which Year is your model? Upgrade your ride without breaking the bank! Simple fix for a better feel. 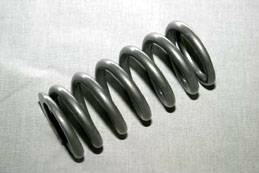 32% stiffer than your stock shock spring. Finished with a sharp looking powder coat finish!